Jim Schooter, 80, died peacefully in his sleep on Easter morning, April 5, 2015. Jim will be lovingly remembered by many friends and family, including his wife, Lynne; his children, Denis (Andrea), Pat (PJ), and Brian (Quynh); and grandchildren, Travis (Tabatha), Tyler, Brittany, Katie, and Shane. Jim was born September 25, 1934, in Rochester, New York, the son of James Jerome and Mary Agnes Schooter. As a first-grader, he began attending the all-boys Saint Mary’s Seminary. He attended Glenclyffe Seminary where he pursued Philosophy and Religious studies earning a Bachelor’s of Arts Degree in 1955. He joined the United States Air Force and served as an Airman Second Class from May 1, 1956 through April 30, 1960. He met the love of his life Lynne Schultz at a dance club for Catholic singles in Orlando, Florida and they married on March 30, 1959. The newlyweds were stationed in Albuquerque, New Mexico. After Jim completed his time in the Air Force, he accepted a job with IBM in Goleta, California, as a Field Engineer. In 1961, Jim and Lynne settled into life in their new home in Goleta and began raising their family. They were devoted members of Saint Raphael’s Church. Jim shared his love of the Lord by teaching CCD classes at the church and sang in the choir for several years. Jim was a Fourth Degree Knights of Columbus Honorary Life Member. An avid amateur ham radio operator with the call sign WA6SJC, Jim always had an ear to the ground and knew everything that was going on in his neighborhood. 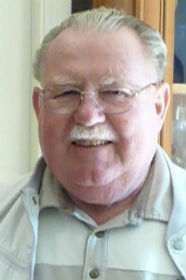 Jim also served as volunteer at Goleta Valley Cottage Hospital. After Jim’s retirement from IBM in 1988, Jim and Lynne enjoyed traveling around the United States in their RV visiting friends and family and enjoying the outdoor lifestyle. On Thursday, April 9, 2015 at Welch-Ryce-Haider Goleta there will be a Vigil at 2:00 p.m. followed by a Rosary at 3:00 p.m. Funeral Mass will be 10:00 a.m., Friday, April 10, 2015, Saint Raphael’s Church, Goleta. Arrangements by Welch-Ryce-Haider.